full-service market research firm that helps organizations better understand their customers, markets and competition. We assist our clients in the use of this knowledge to better specify and develop successful products and services that meet customer and market needs. We conduct both qualitative and quantitative research studies, and specialize in helping clients through the "fuzzy front-end" of new product development. 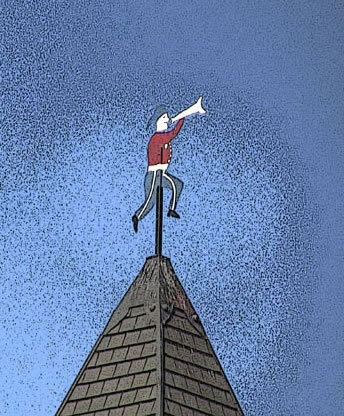 Atop of the Village Hall steeple, overlooking Honeoye Falls in the Town of Mendon, is the famous "Iron Fireman," a 100 year old painted sheet-metal shape in the form of a fireman. The ironman has become our new mascot. We made some changes to our company website. Take a look and let us know what you think!